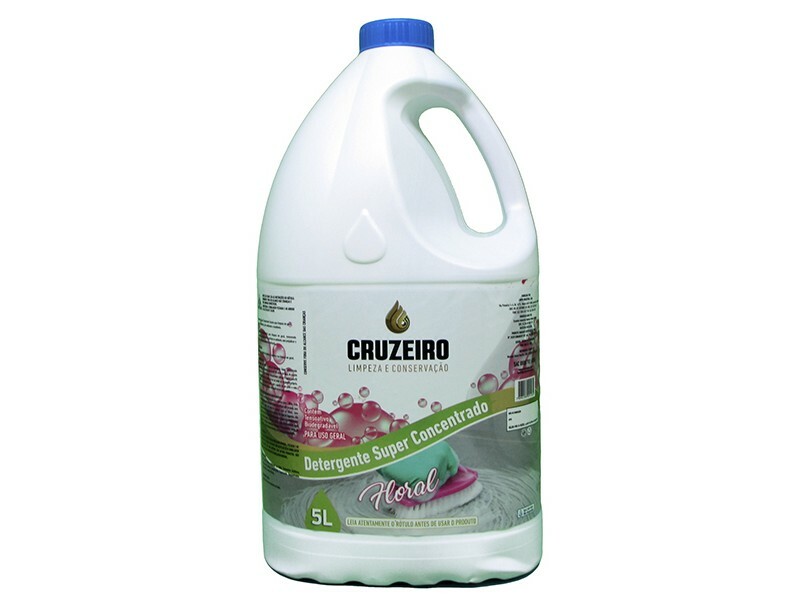 Detergent Cruzeiro Floral Super Concentrated to clean it all, concentrated and with a high economic income. Formulation developed for cleaning in general, removing dirt, leaving a slight perfume in the environment, without damaging the brightness. Features ease of application. It is a great product to remove dirties and on the cleaning in general. Cleaning in general: Dilute 1 part of the detergent ro 25 parts of water or untill 100 parts of water, according with the dirty to be removed. To perfume the ambient, please use 1 part the product to 5 parts of water. Do the process in a single recipent. Apply the solution on the floor, using a squeegee or a floor cloth. Remove the excess of the solution using a wet floor cloth.